I love everything pumpkin during the fall, and holiday season. 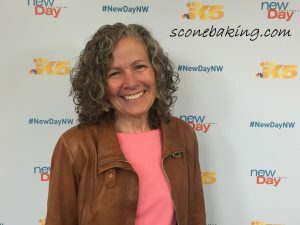 I’ve shared my recipes for Pumpkin Scones, Pumpkin Chocolate Chip Cookies, Pumpkin Macarons, and Pumpkin Muffins. 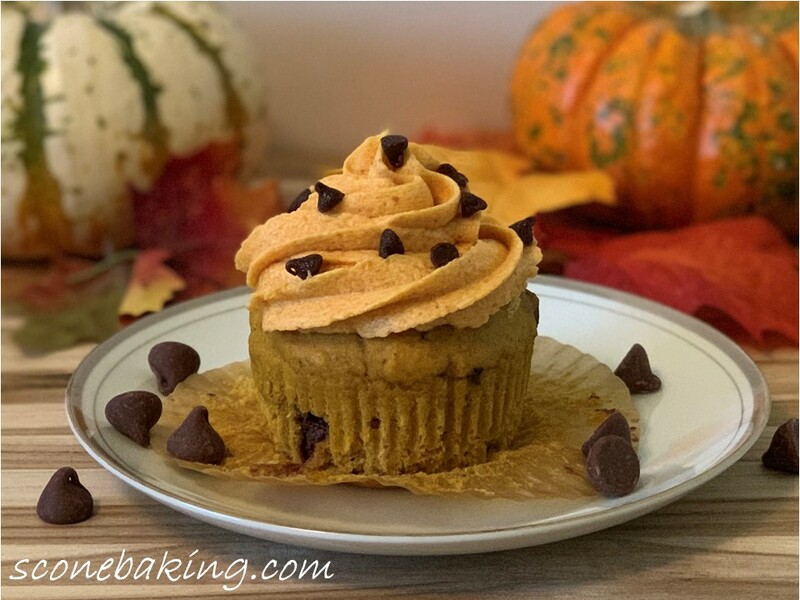 Now this fall and holiday season it’s time to share my recipe for Pumpkin-Chocolate Chip Cupcakes. 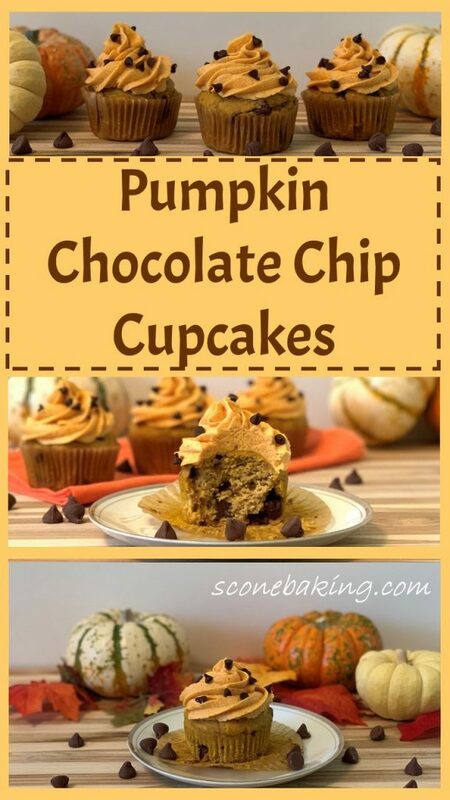 I think that milk chocolate chips are the perfect compliment to everything pumpkin. 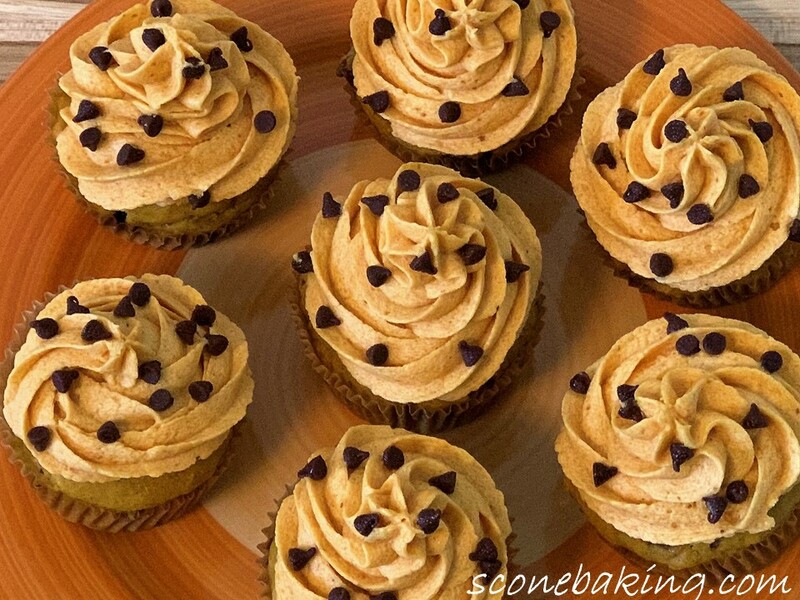 I’ve topped these light and fluffy cupcakes with a yummy pumpkin buttercream frosting and mini chocolate chips. To get the most pumpkin flavor in the buttercream frosting, I squeezed out most of the liquid from the pumpkin puree. 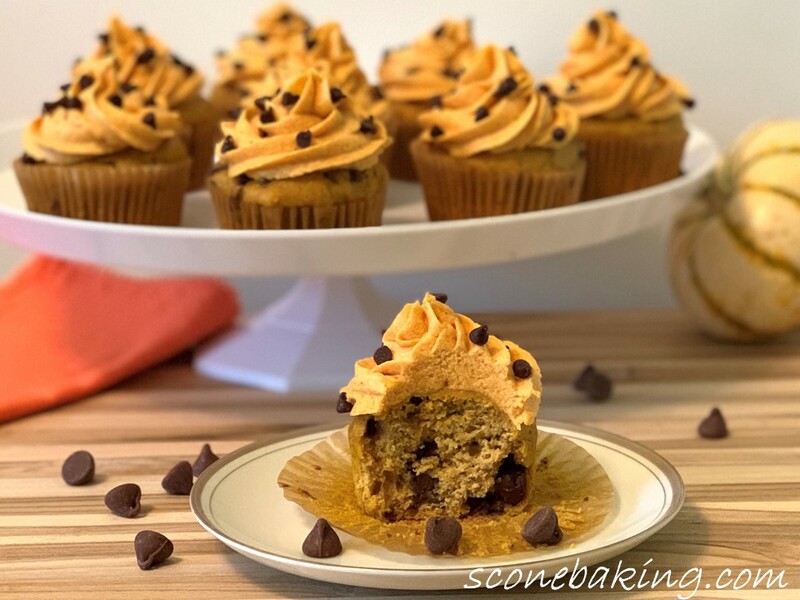 Pumpkin and milk chocolate chips, are a wonderful combination of flavors. In a large bowl, whisk together eggs, oil, brown sugar and vanilla extract until smooth, 1-2 minutes. Add 8 oz. (1 cup) pumpkin puree, whisk until smooth; set aside. In a small bowl, whisk together flour, baking powder, baking soda, pumpkin pie spice, and salt. Using a sieve, add dry ingredients to wet ingredients. Before stirring the mixture, add milk chocolate chips to dry ingredients, mixing until just combined (do not overmix). Using a scoop, divide batter evenly amount the muffin cups (they should be about 3/4 full). 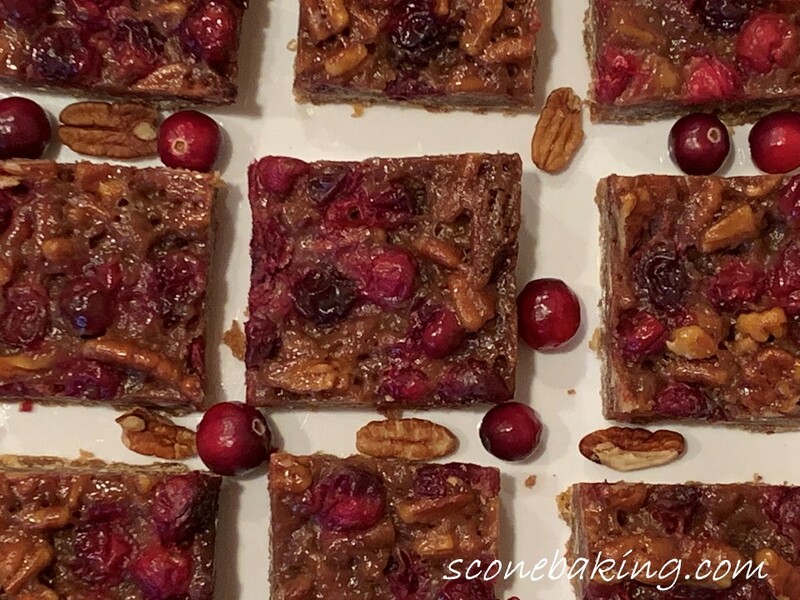 Bake at 350 degrees F. for 18-22 minutes, or until the internal temperature is 205 degrees F., or a toothpick inserted in the center of a cupcake comes out clean. Remove from oven onto a wire cooling rack, let cool for about 5-10 minutes, then remove cupcakes from muffin tin. Let cool completely. Using a tea towel, squeeze excess liquid from 7 ounces pumpkin puree (you should have 1/4 to 1/3 cup of pumpkin puree remaining). 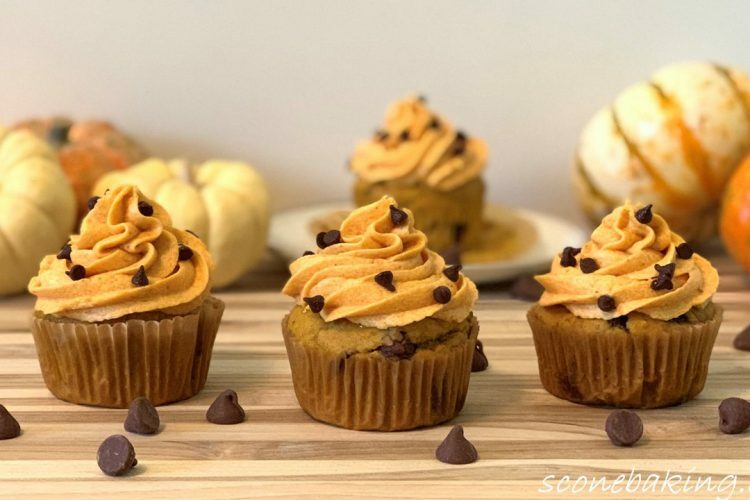 In a stand mixer on medium high speed, cream together butter, cream cheese, and pumpkin pie spice, until light and fluffy, add the pumpkin puree, beat on medium speed until light and fluffy. On low speed add 1 cup of powdered sugar until combined, then beat on medium-high speed until fluffy. On low speed add second cup of powdered sugar until combined, then beat on medium-high speed until fluffy. On low speed remaining powdered sugar and cream until combined, then beat on medium-high speed until light and fluffy. Fit a 16″ pastry bag with a #1M open star tip, fill bag with pumpkin buttercream. Pipe on cooled cupcakes. Sprinkle mini chocolate chips on top of each cupcake.